On my quest for the Canon 5D Mark IV, I found myself on another eBay adventure! What fun… Like many of you out there who are obsessed with all things Canon, I was very excited when I began to read reviews about the upcoming Canon 5D Mark IV. I’ve always been a die-hard Canon user ever since my first little Canon Powershot pocket camera from way back when. Not only did it take excellent pictures, but the menu system was so user friendly. It did not take me long to figure out the ins and outs of my fancy little pocket camera, and this made me feel like quite the accomplished photographer. Eventually, my skills outgrew this little camera, and after several stops along the way with various Canon models, I ended up with a 5D Mark III. This is my absolute favorite camera (for now). I love everything about her. Like most of my other Canons, not only am I able to get great pictures with her, but the menu system is very straightforward and easy to figure out. During my many years of taking pictures, I had moments of weakness when I broke away from Canon to try something new. When the mirrorless cameras became popular, I busted out my checkbook and purchased a wonderful little camera by Olympus called the OM-D E-M 5 Mark II. 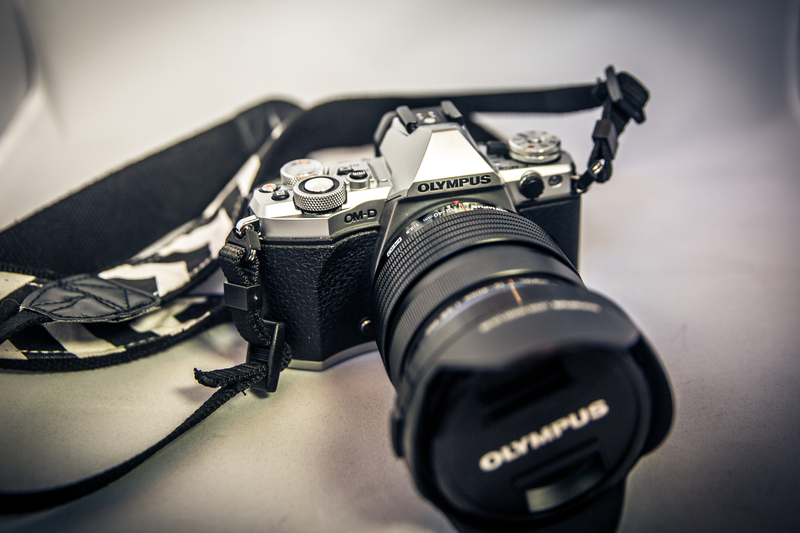 You can read all about it in my article titled My Favorite Purse Camera – The Perfectly Small and Compact Olympus OM-D E-M5 II. I loved the look and feel of this perfectly sized micro 4/3 camera. It was so much smaller than my Canon. It did fit right into my purse. I used it on many occasions, but not as much as my Canon. I did not “know” this camera very well, so I often ended up taking my Canon, because I knew how to get the good shot with it. The Olympus would’ve been much better because of its size, but I just didn’t feel comfortable, and I was worried I might miss an important or special photo opportunity! I mean…look at this camera! It’s awesome, right? If you want a mirrorless, then this is a great choice!! When Canon announced the 5D Mark IV – with a touch screen – I thought to myself “I must have this new Canon camera.” But how to pay for it was a problem for me. My Canon 5D Mark III was in perfect working condition, and it still takes wonderful pictures. There was no need for me to upgrade. But I wanted this new camera SO badly! Wedding and portrait photographers, nature and landscape shooters, as well as creative videographers will appreciate the brilliance and power that the EOS 5D Mark IV delivers. Superb image quality is achieved with Canon’s all-new 30.4 Megapixel full-frame sensor, and highly-detailed 4K video is captured with ease. Focus accuracy has been improved with a refined 61-point AF system and Canon’s revolutionary Dual Pixel CMOS AF for quick, smooth AF for both video and Live View shooting. Fast operation is enhanced with Canon’s DIGIC 6+ Image Processor, which provides continuous shooting at up to 7.0 fps*. Built-in Wi-Fi®, GPS and an easy-to-navigate touch-panel LCD allow the camera to become an extension of you. When quality matters, the EOS 5D Mark IV helps deliver results to inspire even the most discerning image maker. I watched countless YouTube videos of some of my favorite reviewers talking about this camera and how wonderful it was. All of them said that if you have the Mark III, the upgrade is not really necessary, but they understood why photographers were going to want this camera. Below is a video from Canon introducing the Mark IV. There are many detailed reviews available on YouTube if you’re interested. And now to my eBay adventure… Since my poor Olympus spent most of her life in my closet on my little camera shelf, I made the tough decision to sell her on eBay! I had felt like a traitor anyway when I went and cheated on Canon with an Olympus camera, so selling her was a good thing. Wasn’t it? I never really got the hang of the mirrorless camera anyway. I did like the size of the camera, but something about the electronic viewfinder did not work for me. I was never able to get pictures of my kids at their sporting events with this camera like I was able to with my 5D Mark III. And believe me…I tried. But, if you are looking for a camera to take on trips to get great family photos and landscape pictures, then this is the camera you need. For those of you wondering how this is done, it is quite easy, really. To be completely honest, when Ball Cap Mom told me that she wanted to sell a $2000 camera rig on eBay, I was a little nervous. I’ve had an eBay account since 1999, but I have never bought or sold anything that expensive on eBay before. But as I write this, there is almost $2000 new dollars sitting in my checking account, so I guess that went pretty well. Luckily, I remembered a few key tips from the last time that I sold items on the auction giant. Know the value of your items. Make sure that you understand what people are willing to pay for the thing that you want to sell. You can do this by doing an eBay search for “completed auctions” (within eBay). Then you can find out what items similar (or maybe even identical to yours) have actually sold for. Use lots of great photos for your items. That’s an easy one for Ball Cap Mom — taking pictures is one of her many specialities. Usually, eBay will let you upload about a dozen pictures at no additional charge, so make sure you have some good ones. Anticipate questions that the potential buyer will have that can be answered with photos — use closeup photos when needed, etc. The better your photos, the more comfortable the buyer will be buying your item without actually touching it. Be honest. If your item has a scratch, reveal it. Don’t make it sound worse than it is, but tell the truth. Nothing will sour your taste for eBay faster than bad ratings from unpleasantly surprised buyers that leave you bad ratings. Bad ratings will make it hard for you to sell your next item. So take care of your buyers. Tell a story. The best marketing is story telling. If you can tell a story about your item and why you are getting rid of it, that can really set you apart from other listings. What memories are tied to your item? Share one. And why are you getting rid of the item — not because you hate it I hope. Have a great reason you are ready to let this incredibly valuable widget go to the highest bidder. Ship well and promptly. Again, this goes to taking good care of your buyers. Pack this item as if you really care, and ship with insurance when appropriate the very next day after the auction. Delight your auction winner with awesome service and you’ll get a great review. Communicate. Include lots of accurate product information in your listing, but also make sure that you answer any buyer questions promptly. Taking care of buyer questions helps people feel assured that you are not some eBay scammer from a distant foreign country. Selling on eBay can be a lot of fun. In fact, I bet you can find five items that your spouse really doesn’t need at all anymore. Quick! List them before he/she gets home. After just a few hours on the eBay site, we had several people “watching” the item, and even more views of the item. I was hooked – I must’ve checked on the camera a million times the first 2 days. Then I realized….this item was going to be listed for auction for 10 days! There was no way anyone was going to actually bid on it this early. So, I left it alone for a few days. With just 2 days left in the auction, I checked back on my little Olympus, and realized there were a lot of people interested in this camera. I even had people who had sent me emails with questions about the camera. Wow! I was so excited that this little camera was probably going to sell! And sure enough…with about 5 minutes left in the auction, I watched as people tried to outbid each other. I refreshed my eBay app as quickly as I could, and BOOM… Just like that, the auction was over, and I had just sold my little Olympus OM-D E-M5 II. I had mixed feelings… Was I making a mistake? Would I regret selling this little purse camera before I really learned how to use it? And the answer is…NO! I do not regret my decision to sell this little gem of a camera. Want to know why? Well…I used the money I earned from the sale to purchase a brand new Canon 5D Mark IV! Yes…I am the proud new owner of the Canon 5D Mark IV, and I LOVE it! And yes…I will be publishing a detailed post about this beauty very soon! PreviousThe Top 5 Toys for Girls for 2016…What’s Hot? What’s Not?